We create exact parts and perfect cuts to many different items. Confidence in your parts – completed fast! This is possible because we have experienced cnc programmers and awesome machinists. 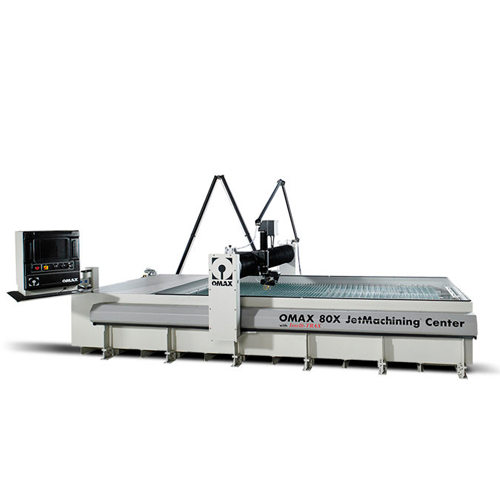 Automatically compensates for stream lag and taper, natural occurrences of the waterjet process. 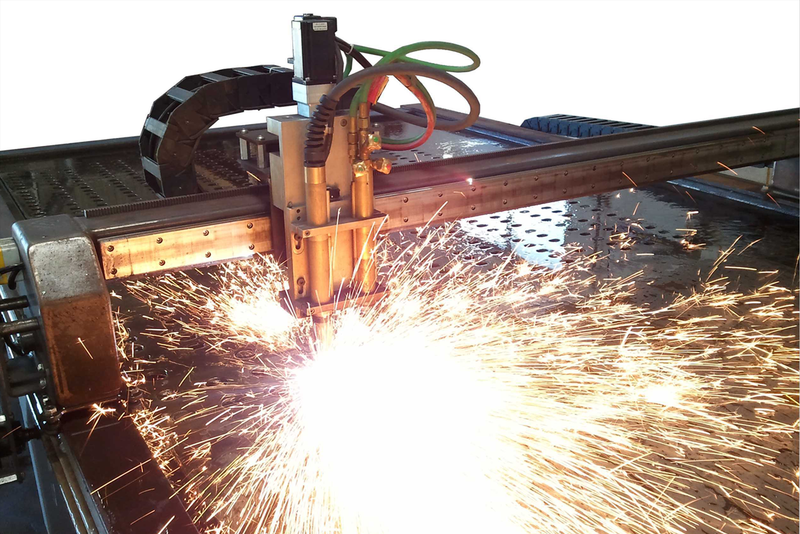 Its articulated wrist allows the cutting head to tilt in any direction, compensating for waterjet stream imperfections using complex mathematical models. These calculations are all completed behind the scenes, by our smart FlowXpert Software Suite, without the necessity of operator participation using our SmartStream Technology. Handles any material up to 6″ thick. 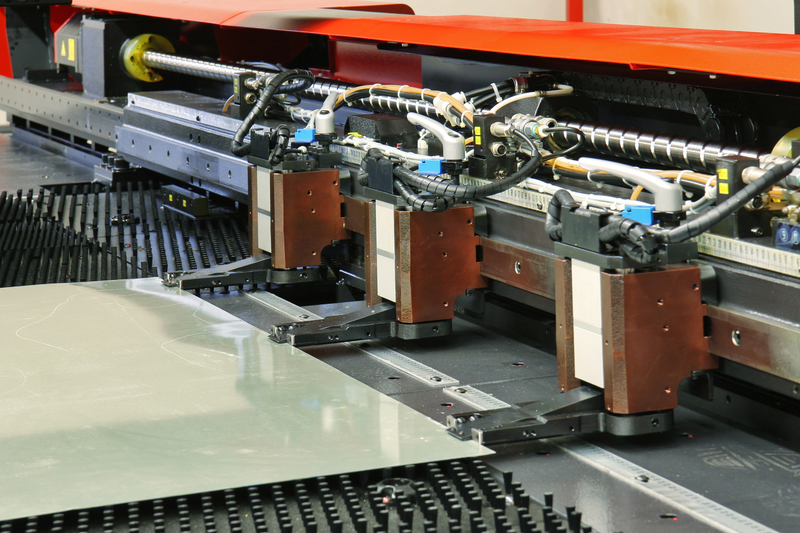 Very efficient method to cut your complex sheet metal parts and it is done on one single machine, the cut edge on the parts that come off Laser and don’t require any grinding at all, Machine set up costs are kept at a minimum, there is no need to purchase and maintain expensive dies to manufacture your parts, this drastically shortens lead times which saves you time and money! 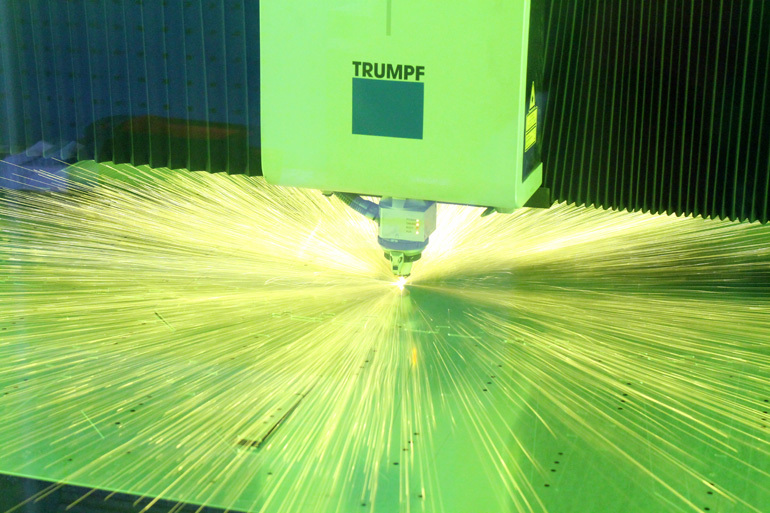 CNC Lasers have the ability to cut your parts precisely at very high speeds, a very thin kerf and no tooling that wears down bringing you identical parts from prototype to production! We stock around 600,000 lbs. of sheet metal in various materials, thickness and sizes. 4 units – Bystronic Xpert 150 – 150 ton 10 feet long (1 in 4 different locations). 1 – 2013 Bystronic Expert 350 – 350 ton 10 feet long. 1 – 2011 Ermark 120 ton 5 feet long. 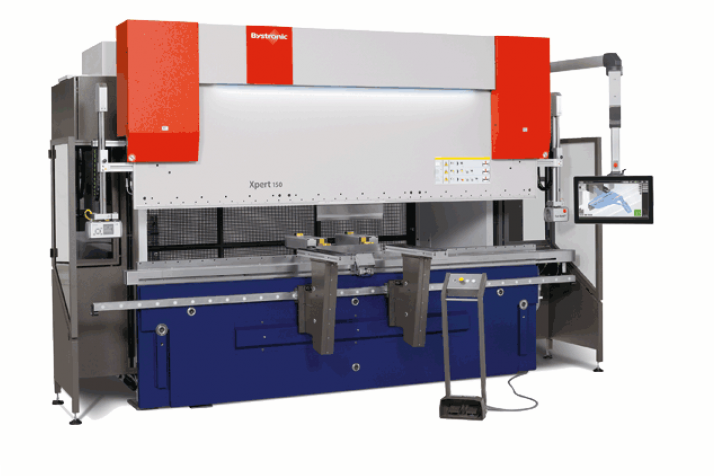 With our Brystronic Xpert CNC Hydraulic Press Brakes we can finalize your ideas with a huge variety of tooling to match your complex and simple parts! Worldwide, the most extensive database, which can be simply expanded with additional material characteristics and parameters. It offers the highest repetition accuracy on the market. First class bending results thanks to pressure reference technology with fully automatic, dynamic crowning. At the press of a single button, perfect bending results are achieved independent of operator knowledge. 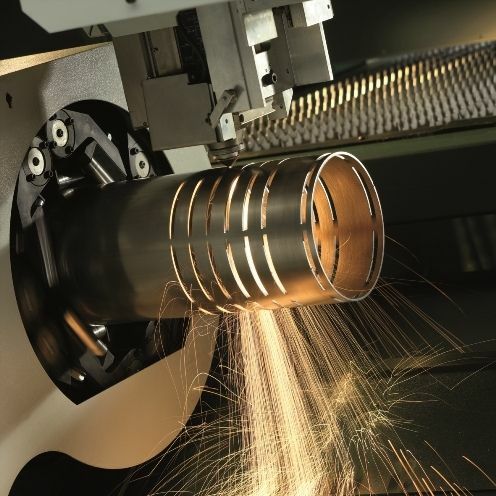 It also has 1 state of the art HPR400XD Hy Definition Plasma, capable of cutting to a maximum of 2 in mild steel, 1.75 in stainless and aluminum. The HPR400XD is the fastest, thickest and most versatile HyPerformance Plasma system available on the market, and is now available with new True Hole technology, which our machine has. 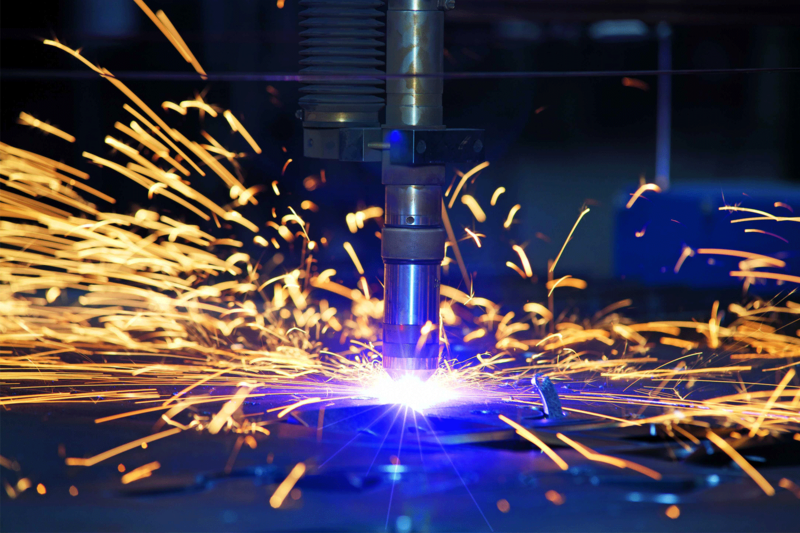 The True Hole cutting technology for mild steel produces significantly better hole quality than what has been previously possible using plasma. This is delivered automatically without operator intervention, to produce unmatched hole quality that surpasses the competition. 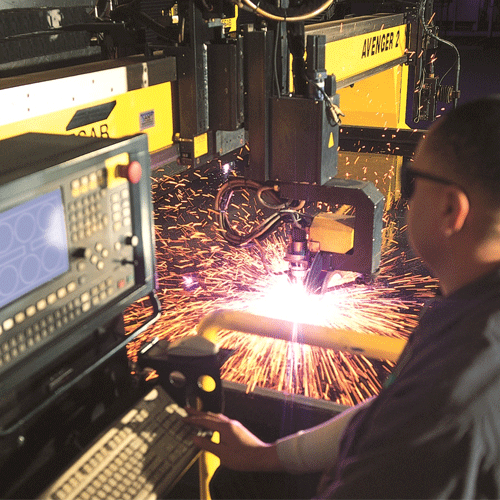 an automated punching system that features a 33-ton turret punch press that’s equipped with a high capacity tool rack and an automatic tool changer. 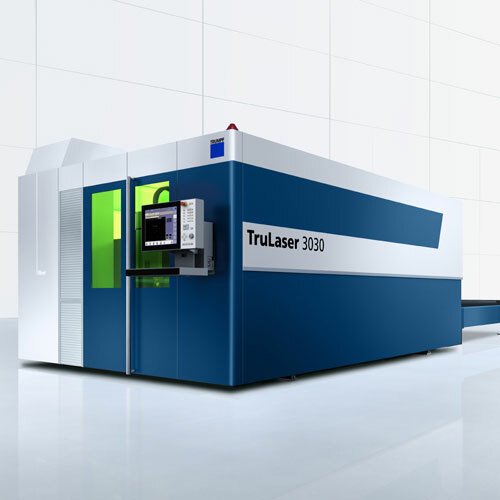 The system is able to house up to 300 tools and 600 dies — providing the optimal punching solution for variable-mixed and variable-lot production. 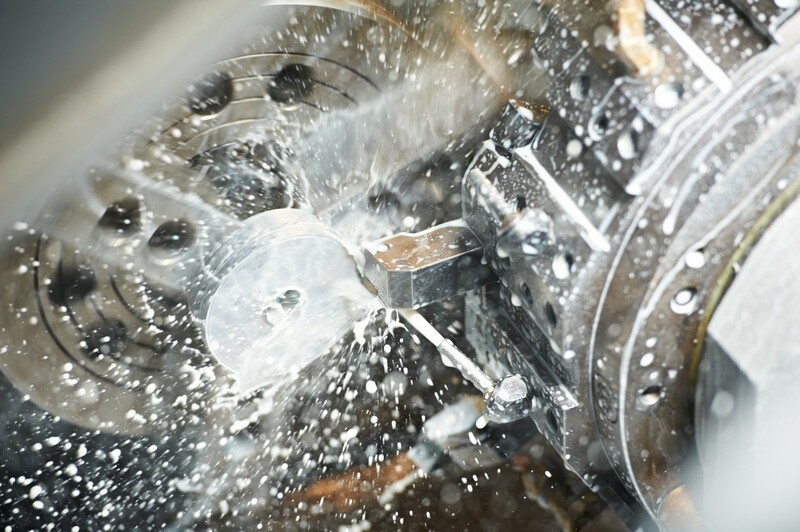 Turn milling is defined as the milling of a curved surface while rotating the workpiece around its centre point. Eccentric forms or shapes that differ considerably from those that conventional milling or turning methods produce can often be turn milled. The method allows for high metal removal with superb chip controls. Our team is a group of creative people with a love to create amazing things. We focus on precision and dedication. 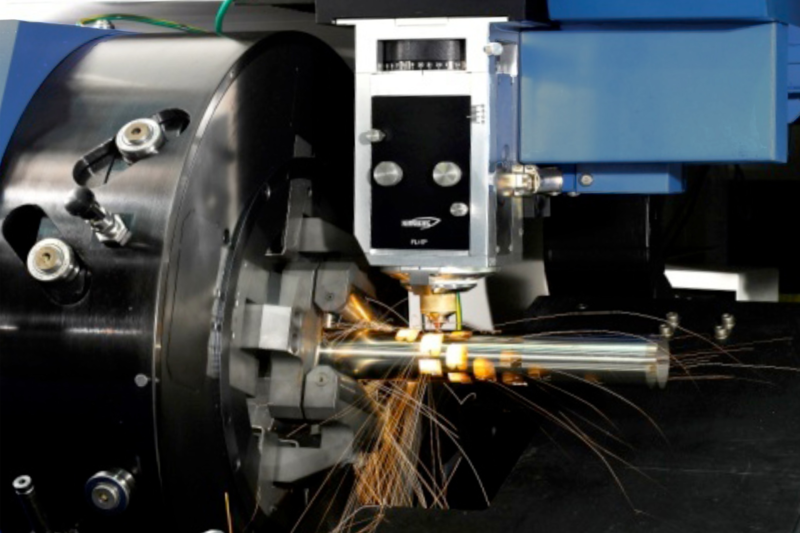 Our tube laser equipment is capable of precision cutting virtually any type of tubing and angle. By using cutting edge BLM LT8 automatic cutting technology, our designers can specify complex end forms and hole geometry. 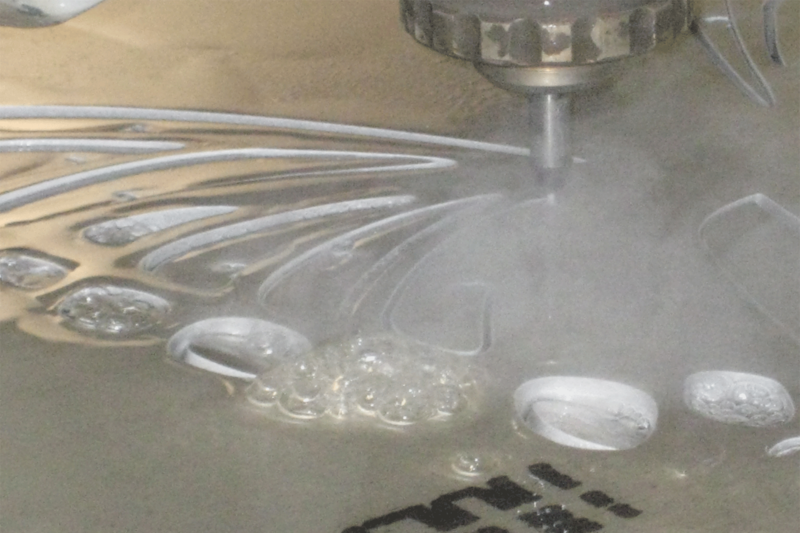 Equipment: 1x HD plasma / flame tabe – 10′ x 25′ 1x HD plasma – 8′ x 20′ To complement the plasma/flame machines we offer the following service: Milling – drilled & tapped holes, pockets, chamfers, counter sinks etc. Our services are the best in class even if it is design related or development based. We work with innovative designs, create perfect parts and great projects that actually work. Contact us for a quote on a part, a repair or a project. We are ready to produce .